"My mother bought me a new Android cell phone as a birthday present. And I want to copy some old photos to it from my computer. So I downloaded an ES File Manager and was trying to back up those photos only to find that this software can only be used on cell phone. I want a kind of software that can sync photos to my cell phone from PC. Can somebody recommend some useful programs for me? Thank you so much. 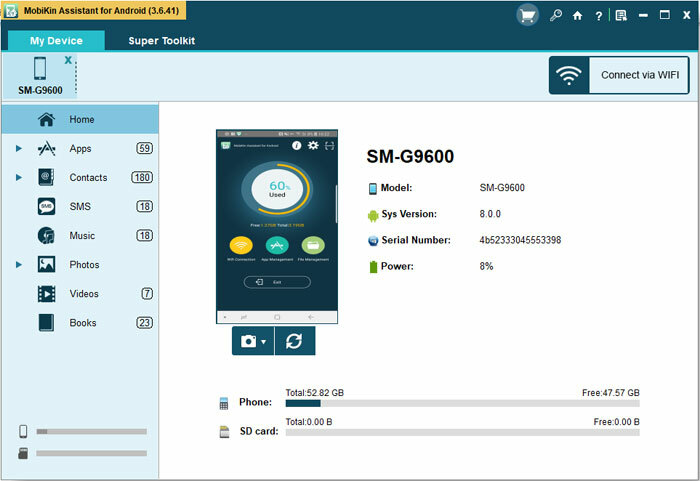 As free and classic management software, ES File Manager do have helped lots of Android cell phone users manage their data. With it, users can search and view files on local disk or the Internet and it can back up the installed apps in the system. It is also able to play music and videos on the Internet for you. But these functions are not enough to meet users' demands at present. 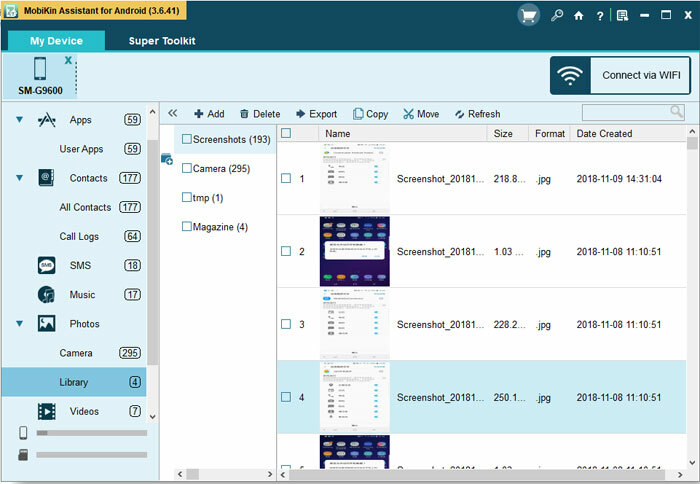 When it comes to manage massive types of files, they may turn to more powerful software such as Astro File Manager, File Expert and Dual File Manager XT and so on. According to many android phone users, there is an alternative to ES File Manager that gains the most compliments:MobiKin ES File Manager Alternative and MobiKin ES File Manager Alternative (Mac Version) Why is it so popular and get so many good comments? You can read the rest contents of this page and find the answers by yourself. Unlike the ES File Manager, this ES File Manager alternative is installed on the computer which means there is no limitation of the files you want to manage. In other words, you can release the storage of your cell phone to add more interesting things like apps, music, videos and photos. With this program, you can also send messages on your PC instead of cell phone while surfing the Internet. Isn't it cool to do two things at the same time? You can download and install this ES File Manager alternative software to have a try by clicking the icons below. 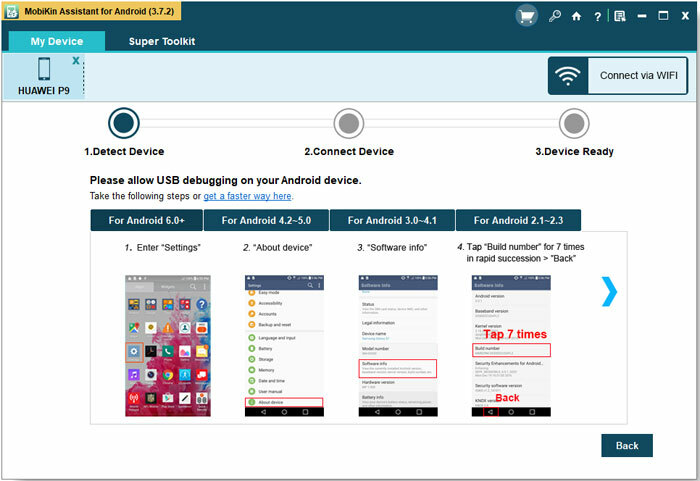 Step 1.Connect your Android phone to the computer via USB cable first and launch the alternative software to ES File Manager. And it will recognize your phone automatically if you have enabled USB debugging successfully before. If the program can't identify your phone, you have to follow the steps below. 1) For Android 2.3 or earlier: Enter "Settings" < Click "Applications" < Hit "Development" < Check "USB debugging". When you finish these steps, you can tick the "USB debugging opened" and "Next" to install USB driver quickly. After that, you will see the primary details of your cell phone such as the model, system version, power and storage. Then you can continue. Step 2. You can edit the apps, music, photos,video, book, files, contacts and tasks as you wish. The following two windows are the examples. If you want to edit the messages on your phone, you can click "Contacts" on top of the menu. Then click "All SMS" on the left panel. You can send SMS to whoever you want easily on your PC instead of cell phone. As for "Photos", you can follow the same procedures above. What do you think of the alternative software to ES File Manager after I show you the steps? Isn't it fabulous? If you have interests, you can download the ES File Manager alternative to your PC and recommend it to your friends. I'm sure you'll like it.